"LIVE IN OR RENT OUT!" Bedrooms: 2 "could be 3"
Great opportunity awaits. 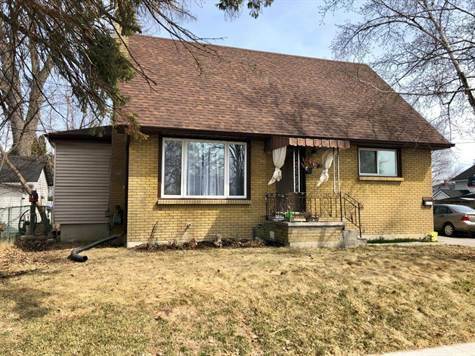 All brick 1 1/2 storey home close to downtown. Currently used as an up and down duplex and both units leased. 1 Bed ,1 Bath on each level. Lower level rents for $900 plus hydro and includes heat, full basement and garage. Upper level rents for $600 plus hydro. Natural gas furnace and separate hydro meters. Could be converted back to single family and made into a 3 bedroom.